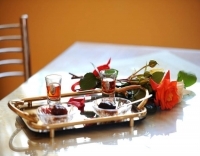 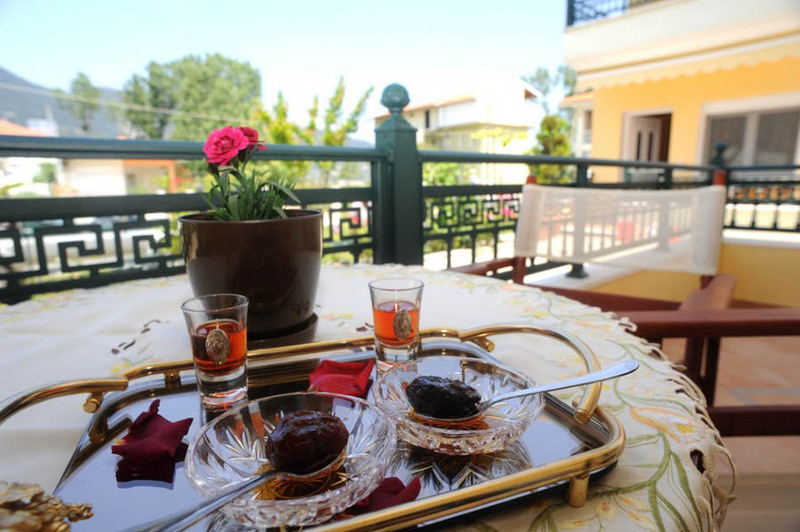 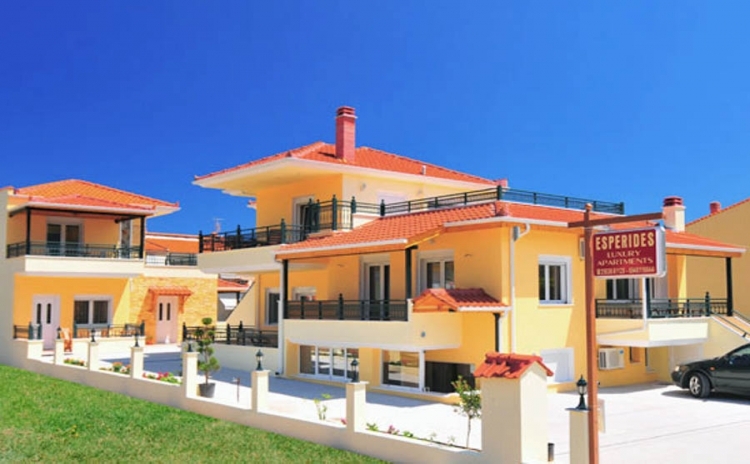 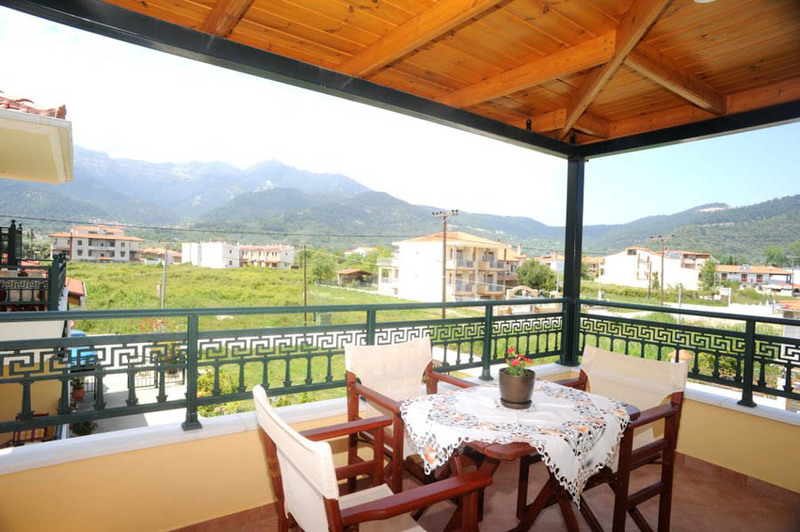 Just 50m from the famous Golden Beach of Thassos Island, finds you at Apartments Esperides! 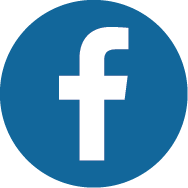 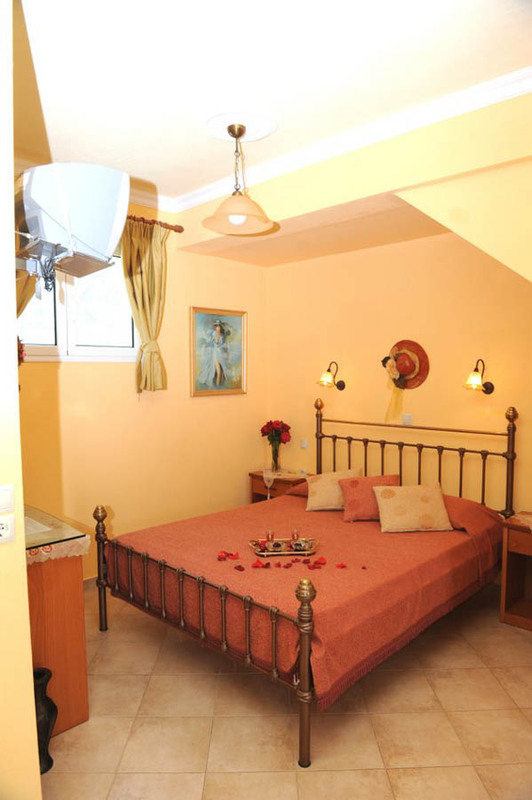 Welcome to our modern, centrally located, self-catering studio, maisonette and apartments, ideal for families and groups. 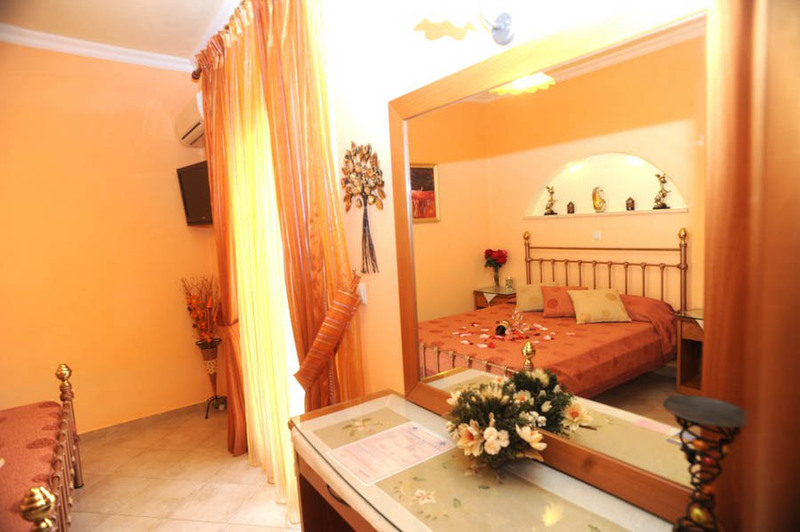 A perfect place to create unforgettable holiday memories. 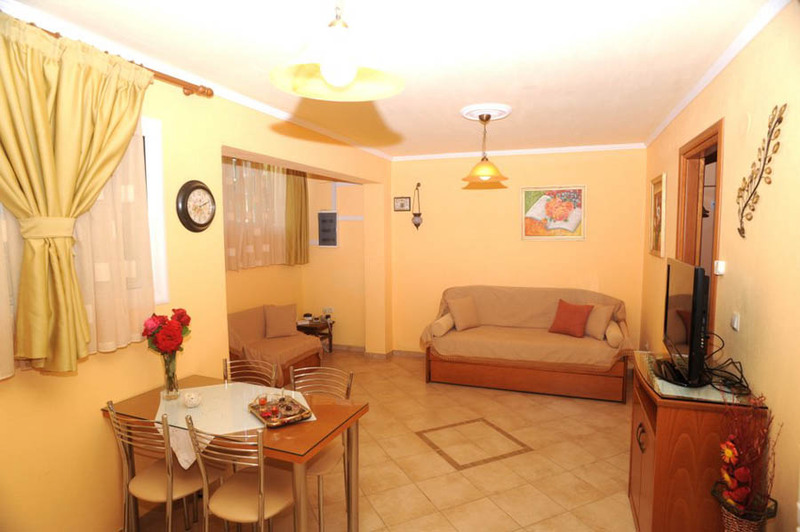 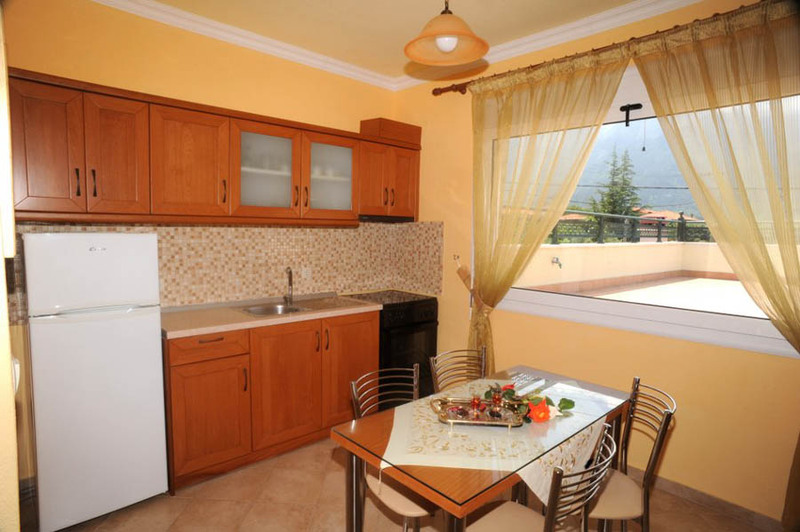 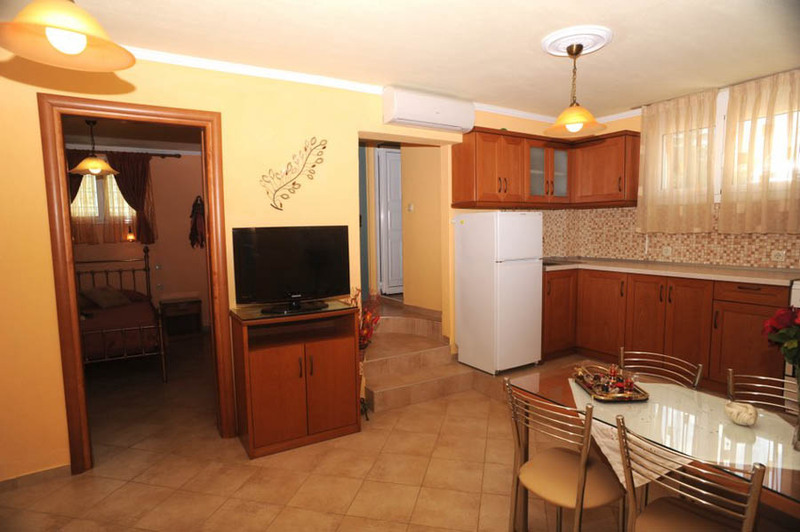 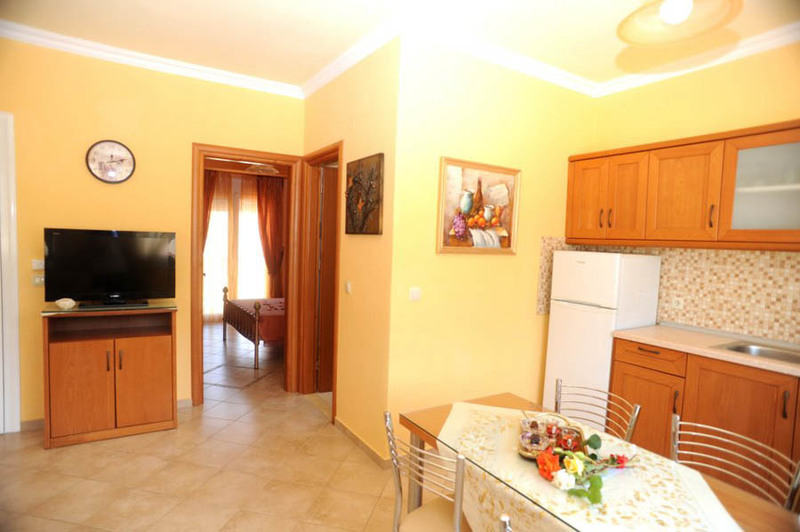 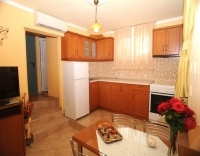 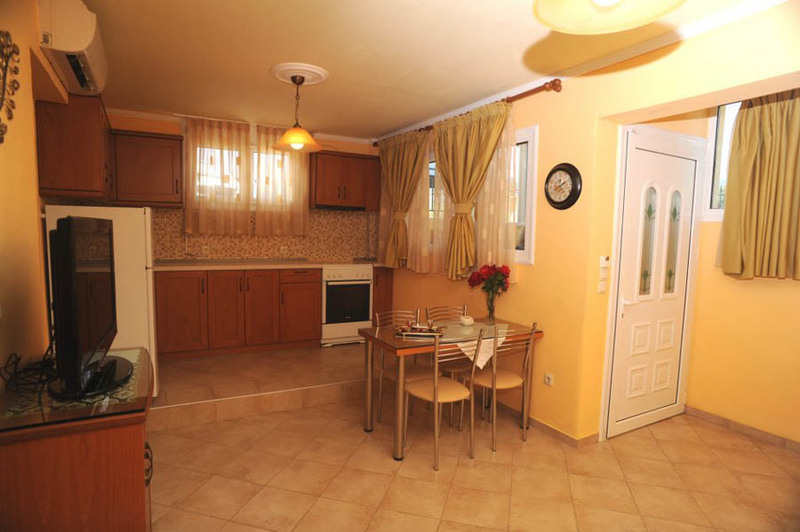 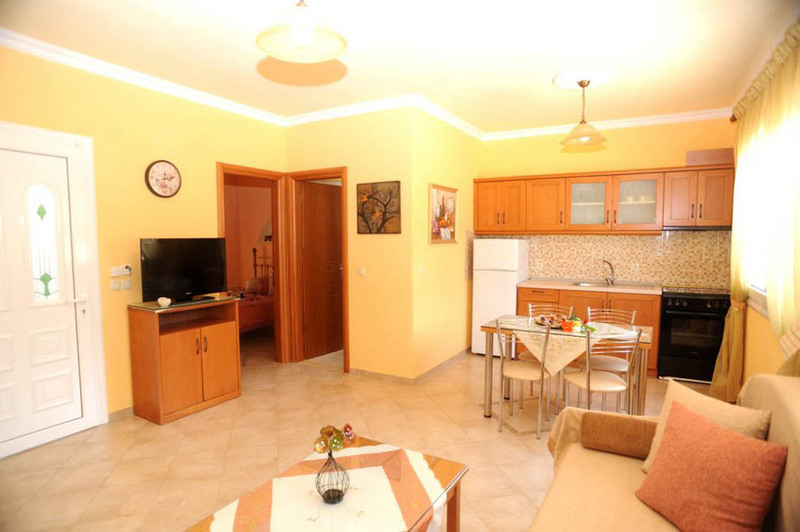 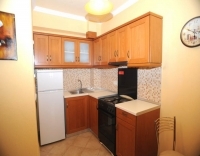 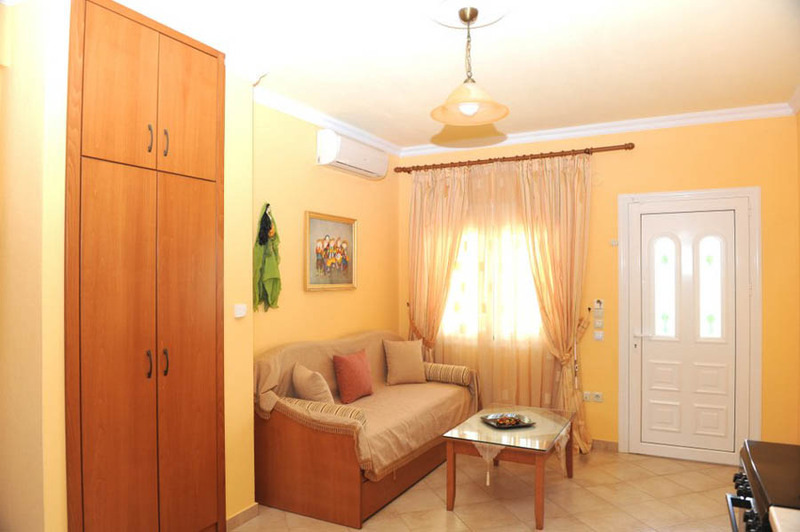 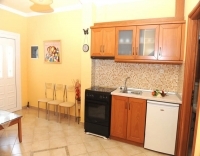 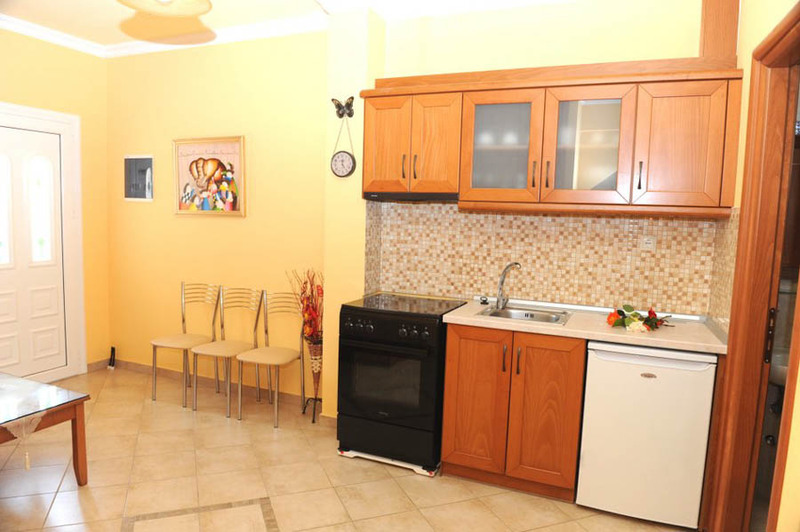 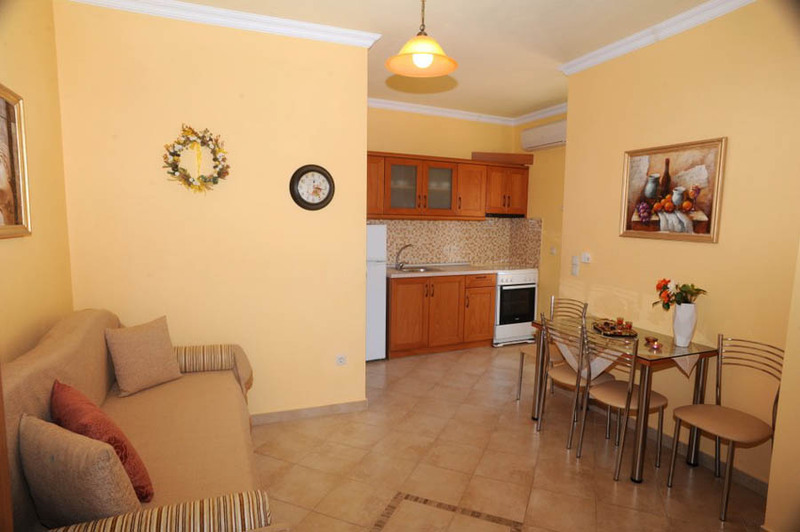 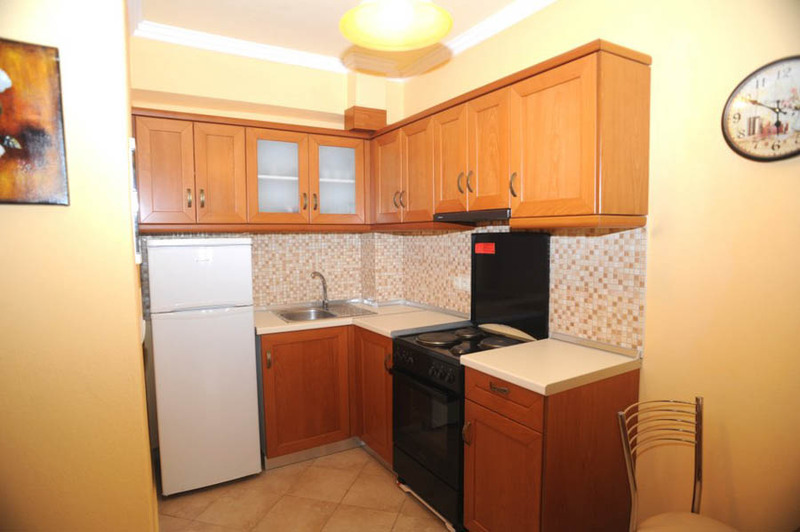 This two bedroom 50 m2 apartment is perfect for 2 couples and a two children. 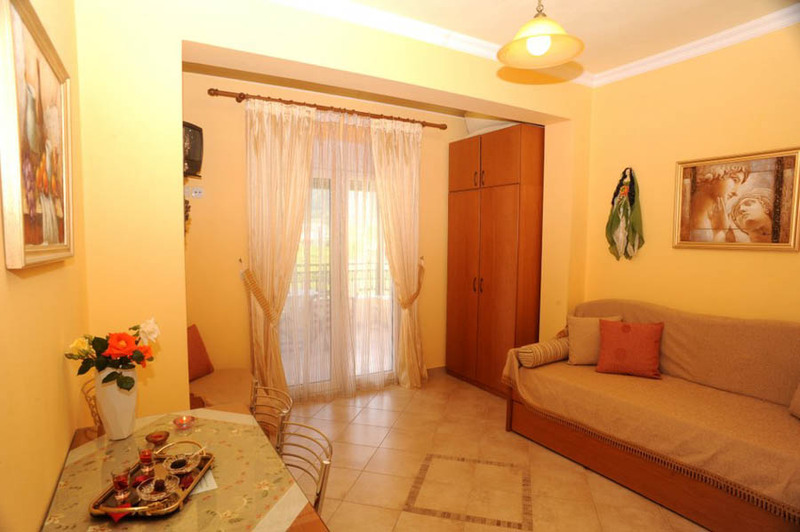 The vibrant color scheme creates a beautiful sunny light in the whole apartment. The living area has a full sized and recessed kitchen, which is fully equipped. 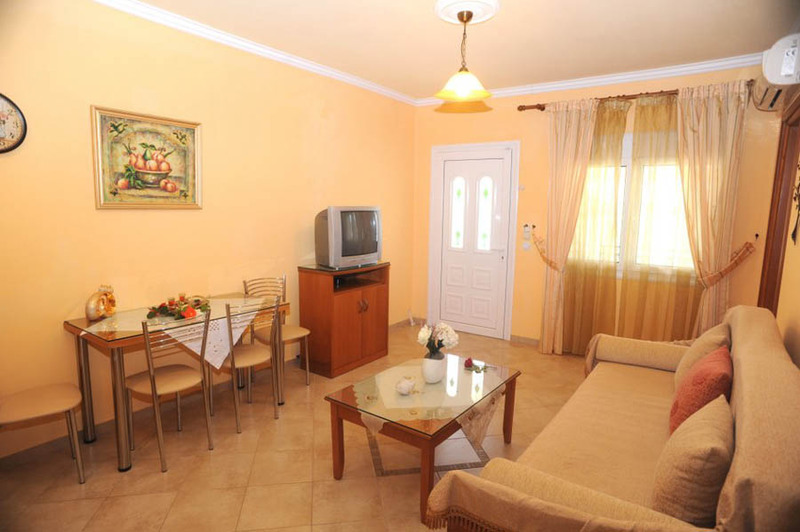 To complete the living area there is a comfortable double sofa which converts to a bed, occasional table, dining table and chairs and television. 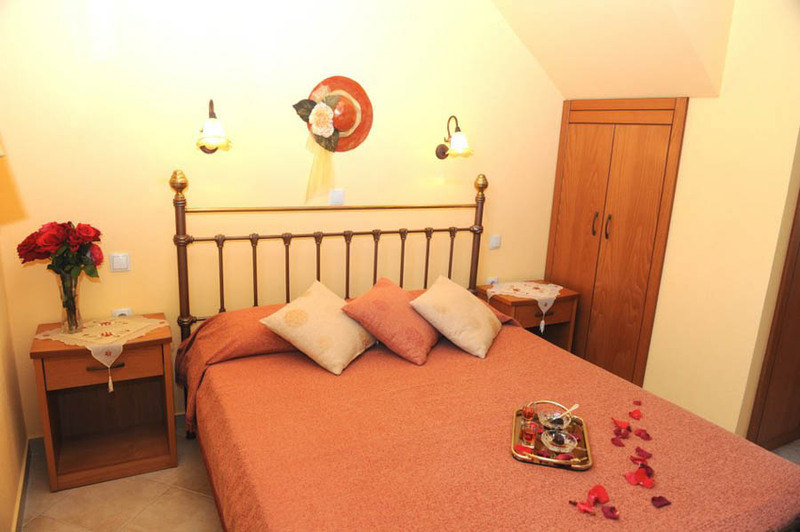 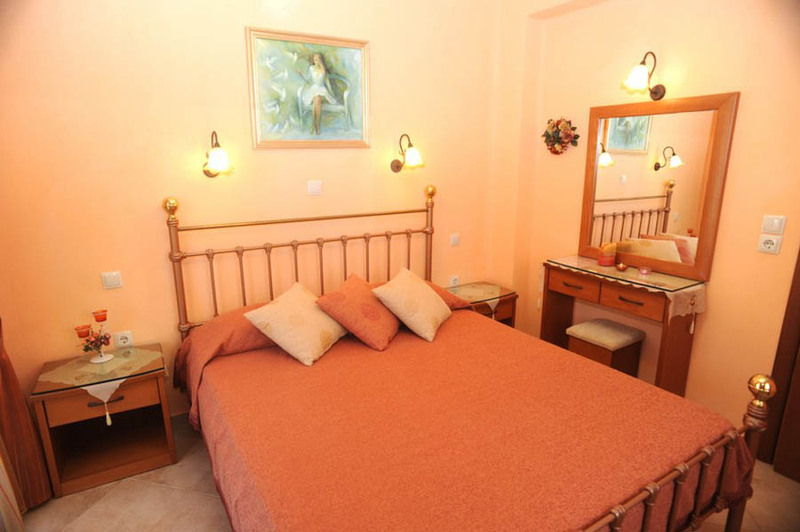 The two bedrooms each have a modern and comfortable bed, large wardrobes and patio doors to the furnished balconies. 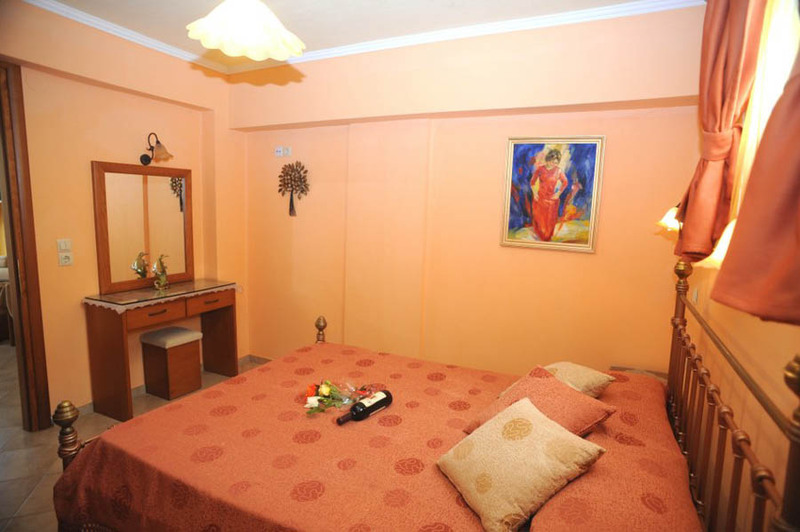 The apartment is completed by a modern, stylish bathroom with shower, wash basin and toilet. 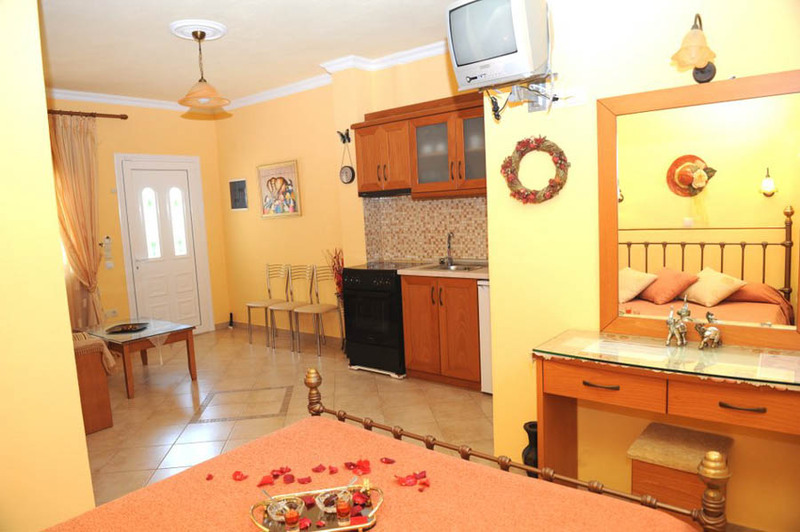 Welcome to our modern, centrally located, self-catering studio, maisonette and apartments, ideal for families and groups.